Add shimmer to the night with these Lurex Shimmer Industrial Net Tights. These mesh tights are a must-have for your next rave day costume. Lurex Shimmer Industrial Net Tights has a rating of 4.63 stars based on 8 reviews. They felt so soft and fit perfect !! 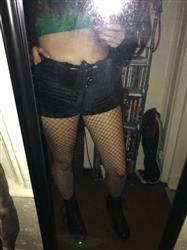 These fishnets are super glittery and perfect for New Years!!! They're super stretchy and really comfy. Absolutely love!!!! longer than i expected but managed then pretty well! They are made well! Doesn't rip easily. These are so fun and sparkly and the fit is great/ super stretchy for all sizes! The only thing is that I wish there wasn't a big seam down the middle of them in the front, makes me a little less likely to wear them with shorts that aren't high waisted. Love these. They are even cuter in person.